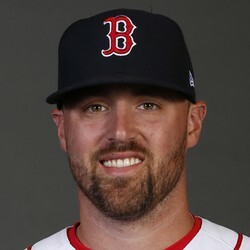 Heath Hembree threw his first simulated game of spring training Monday, Jason Mastrodonato of the Boston Herald reports. There isn't a health reason why Hembree was held back in spring training as the Red Sox have done that with several of their returning pitchers Hembree is one of the candidates in the bullpen who may get a shot at the closers role. If he does win the job then he will be a must-own in all fantasy leagues.